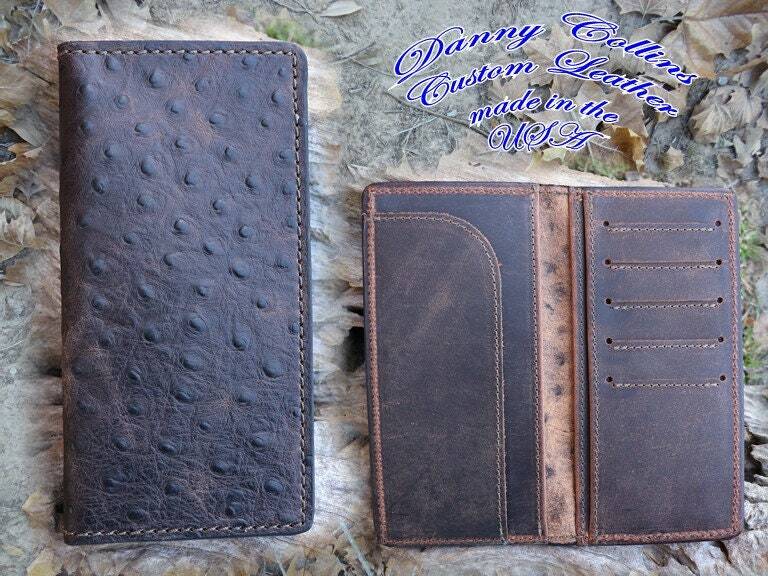 This wallet is made from the best embossed Ostrich on cowhide leather I've seen. The raised quills and texture of this leather looks very much like genuine Ostrich but at a much lower price. This wallet features five card slots with a divided compartment under that for your folding money. The compartment on the left can also be used for currency or it works to hold your checkbook.